The children are snug in their beds and Santa's just left the North Pole with a sleigh full of toys! Hand stitch together Santa's village on this adorable 58 ½" x 78 ½" redwork quilt. 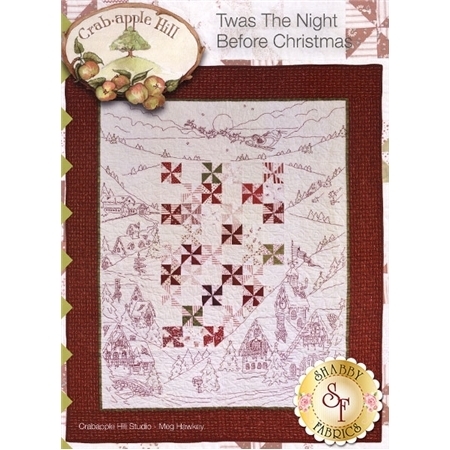 Also featured on this quilt is a toy factory, a candy maker, a bakery, an elves bunkhouse, and a reindeer stable! 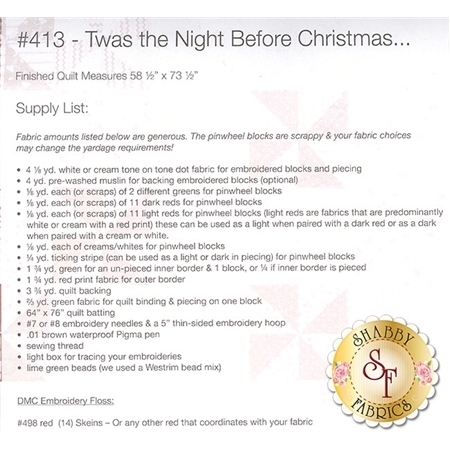 Pattern includes diagram and instructions.